8th Wonder Tea's four varieties of certified organic, superfood tea. Credit: PRNewsfoto/8th Wonder Tea. 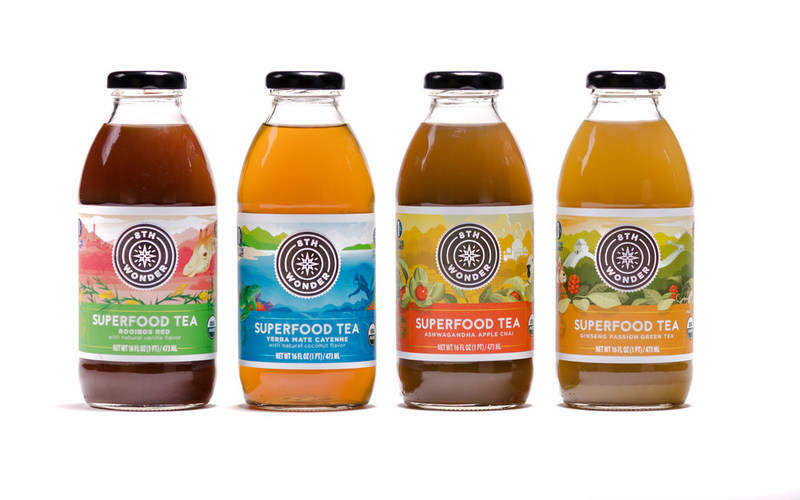 US-based company 8th Wonder Tea is set to launch a new range of ready-to-drink (RTD) offerings to meet growing demand. The new tea rage will be offered in Ginseng Passion Green Tea, Ashwagandha Apple Chai, Yerba Mate Cayenne, and Rooibos Red flavours. 8th Wonder aims to create teas with ingredients to power the body and mind. The range is claimed to be gluten-free, low-carb, organic, and made with non genetically modified organism (GMO) ingredients. They also provide a daily dose of Vitamin C and antioxidants. I addition, the range contains less sugar than other offerings. 8th Wonder Tea founder and tea-maker Parker Rush said: “Our goal is to redefine the tea drinking experience. 8th Wonder’s products are available on the company’s website and at speciality grocers in Colorado, Idaho, Texas, and Utah for a manufacturer’s suggested retail price (MSRP) of $2.49. The product will also be available through Amazon later this year.